The house in Sunnybank, Bray, Co.Wicklow is on sale for €850,000. THE HOME IN which an elderly woman in Bray was attacked has been put up for sale. Eva Sutton, aged 90, was injured in a violent attack in her home last month that resulted in her being hospitalised with a broken nose, a punctured lung and numerous broken ribs. Two men in their 20s broke into her home in the early hours of the morning and brutally beat her up in an attack that lasted over an hour. He said his mother’s back was covered in black bruises after the attack. 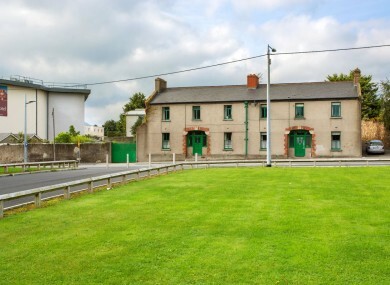 The site for sale currently has two houses on it and is on sale for €850,000. Following the incident, locals said they were angry and horrified at the news. Many people in the town signed messages of goodwill in books and organised flowers and gifts for Sutton in hospital. Locals who rallied around Sutton have now spoken out on a local forum about the sad news that she will not be returning to her home, with some voicing their disgust that the independence of an elderly woman has been taken away. Last month, gardaí assured members of the public they were following a definite line of inquiry. However, gardaí confirmed to TheJournal.ie that no arrests have yet been made. Gardaí said that the investigation is ongoing and they are appealing to anyone with information in relation to the incident to get in touch. Email “Elderly woman beaten up in her home puts house up for sale ”. Feedback on “Elderly woman beaten up in her home puts house up for sale ”.